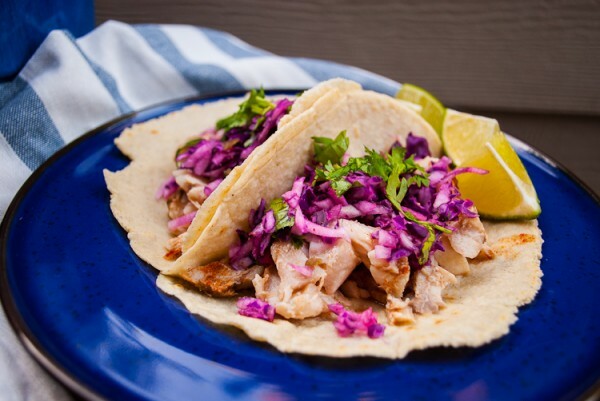 Weeknight dinners….I look for something quick, but healthy…fish tacos are always a go to. Grab some white fish at your local supermarket, sprinkle on some spices, let marainade for 15 or so minutes, then bake in the oven for less than 10 mins and dinner is ready. One caveat of mine, I love fresh, homemade tortillas, nothing taste as good as these! And less than 10 mins to make, they are perfect for tacos! Pair them with fish and a spicy slaw, dinner is ready under 30 mins! 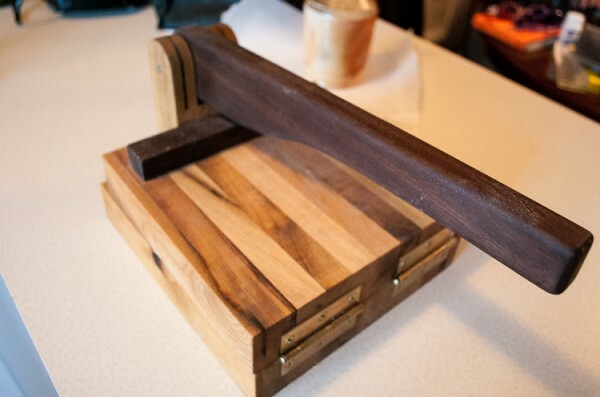 I happen to be very lucky, in the fact that my sweetie made me a custom tortilla press…if you do not have one of these, then your hand and a cutting board will work fine, but may take a bit longer. 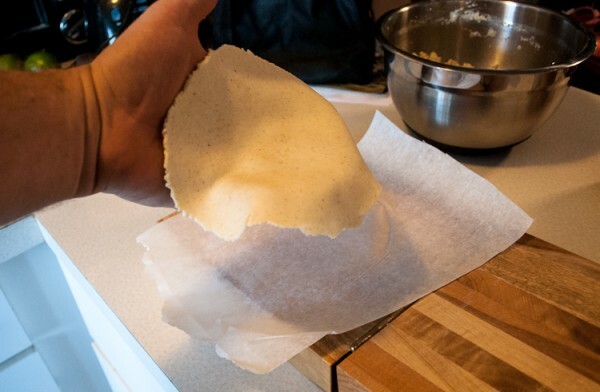 I know, you may be thinking that homemade tortillas are super duper hard to make, but you are mistaken. These simple, tasty tortillas are a sinch to make! Grab some Mesa flour, oil, and water and you are on your way! Of course, having a few Margaritas helps too! Tortilla press, made by Andrew at Woodworks Inc.
Mesa Flour, water, and oil, rolled into a ball on the tortilla press, ready for pressing. Off the press, note the thickness, you want it thin, but not to thick. Marinate the fish while you make tortillas. Fresh tortillas are sooo much tastier than the packaged ones at the grocery store! 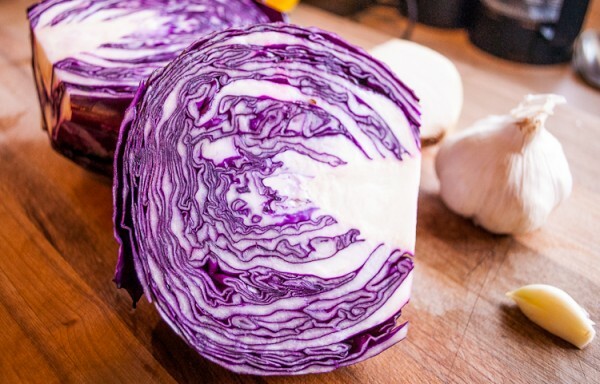 Purple cabbage, I love the pop of purple color and design inside the cabbage! Fish tacos, ready for devouring on a week night, less than 30 mins to make, and oh so good and satisfying! 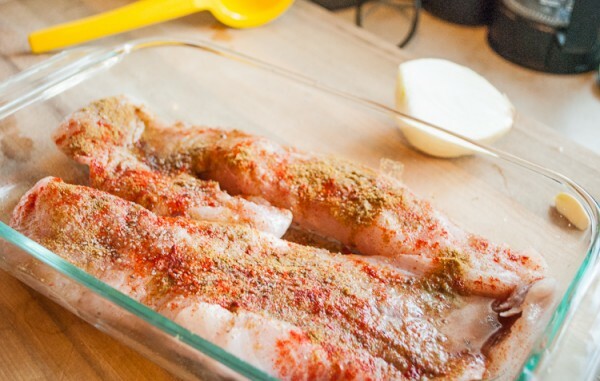 Marinate the fish, place in a dish and mix spices in a small bowl. Spread over fish with spices and let sit for 15 mins. While fish is marinating, make tortillas. I use the recipe on the Mesa flour bag, I add 2 more teaspoons of olive oil than what is on the recipe. 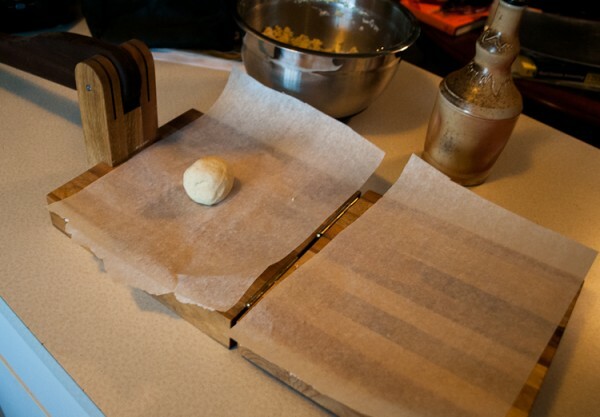 If you do not have a tortilla press, you can use a rolling pin, just like rolling dough out. 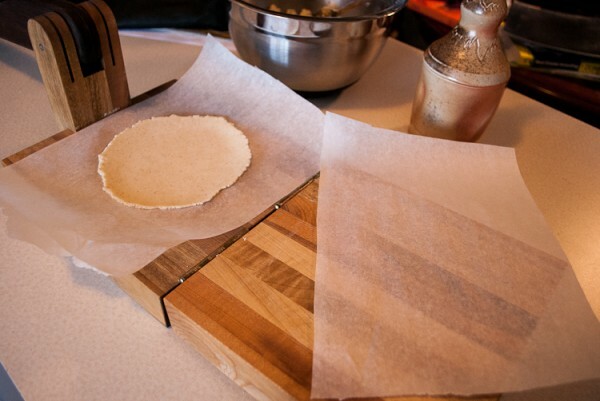 I use parchment paper on each side of the tortilla to prevent sticking. Spoon out enough dough to roll into a 1 inch ball. Place in press and smash into desired thickness. Using a nonstick pan over medium high heat, cook each side for about 1 min. Place in a tortilla warmer or tin foil to keep warm. Cook fish for 10 mins at 400 degrees or until no longer pink. Place all ingredients in a food processor until chopped. 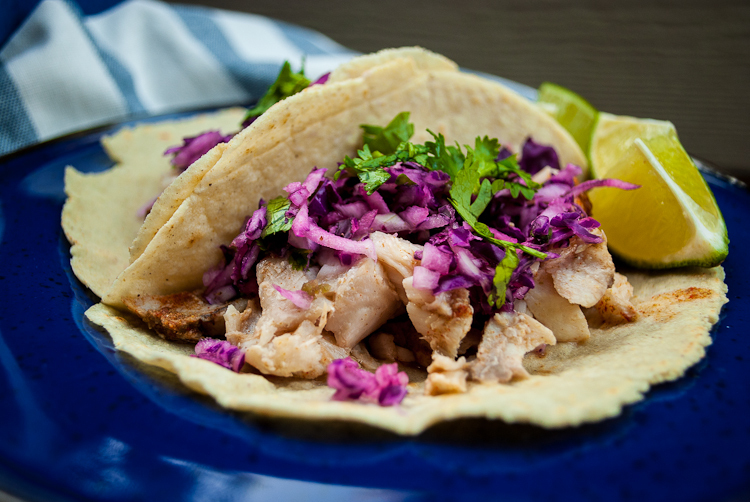 Assemble tacos, top fish with spicy slaw and chopped cilantro. Squeeze extra lime juice over tacos. Serve with margaritas and enjoy!